The Ice Bucket Challenge has allowed the Evergreen Chapter to add direct patient care services to an underserved region: Southern Idaho. In the past, serving this region was challenging due to the distance from the chapter’s regional care services staff members, and while the Chapter was serving patients in the region via phone and distance programs, a gap in care remained. With funds generated by the Ice Bucket Challenge, the chapter hired a Care Coordinator who lives in the largest population center, Boise, to reach and serve patients in Southern Idaho. The chapter held a Patient Meet & Greet to introduce the community to its new Care Coordinator, share information about the ALS National Registry, and educate patients about how they can participate in ALS research. The coordinator is currently setting up a free Equipment Loan Program, building relationships with local resources, and visiting patients in their homes. 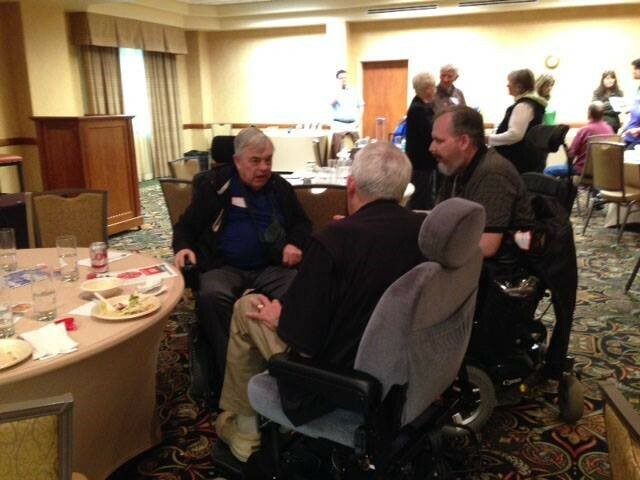 The chapter held a Patient Meet & Greet in Boise, Idaho to introduce the community to its new Care Coordinator.